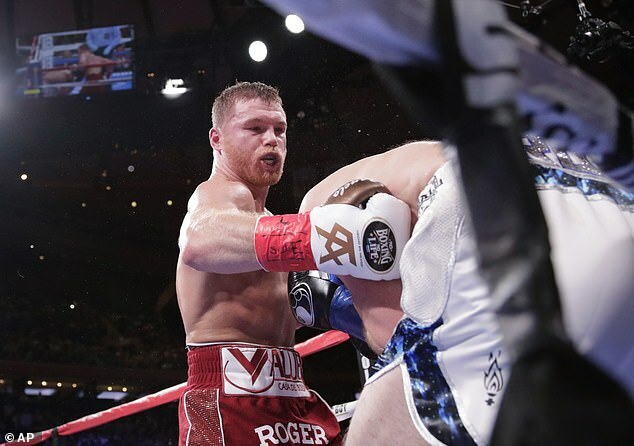 Canelo Alvarez will return to the ring and the middleweight division on May 4 to fight Danny Jacobs. Alvarez will defend his WBC and WBA titles against IBF champion Jacobs in a match-up between two of the sport’s top performers. Mexico‘s Alvarez, with a 50-1-2 record, including 35 knockouts, became a three-division world champion by knocking out Rocky Fielding in three rounds to take the WBA super middleweight crown in December. He now goes back to middleweight, where a draw and a victory over Gennady Golovkin lifted him to the top of a loaded division. ‘I’m happy to announce my next fight during the festive weekend of Cinco de Mayo,’ the 28-year-old Alvarez said. ‘I will unify my middleweight titles against Daniel Jacobs on one of the two most important dates that belong to me. ‘This is the opportunity I have been waiting for, the opportunity to achieve greatness inside the ring,’ Jacobs said. ‘I have always believed I can beat Canelo, and on May 4, I will get my chance to play it out. No venue has been announced for the bout on the eve of Cinco de Mayo. 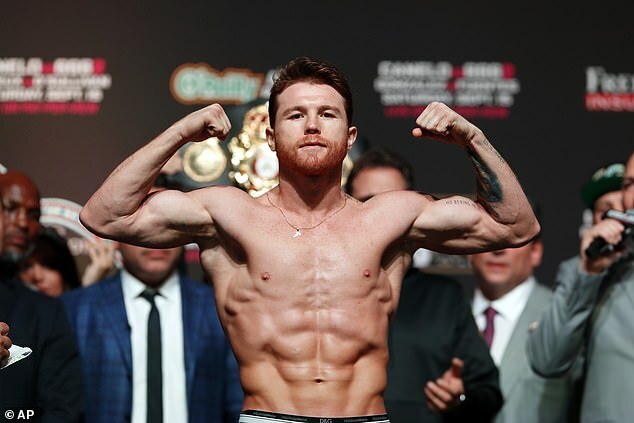 The fight will be streamed on DAZN, which has a long-term contract with Alvarez.